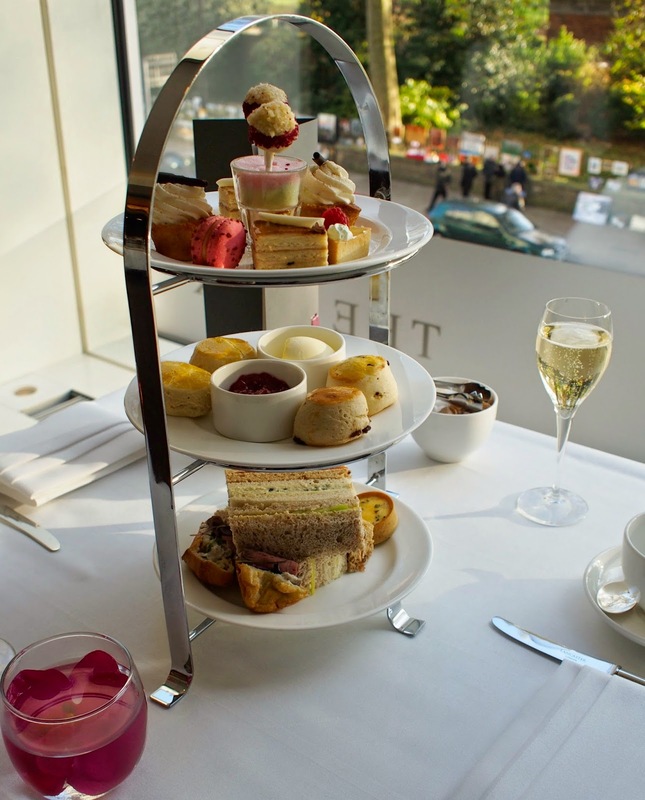 I can't resist a chance to have afternoon tea! When in Rome, or England, in this case! 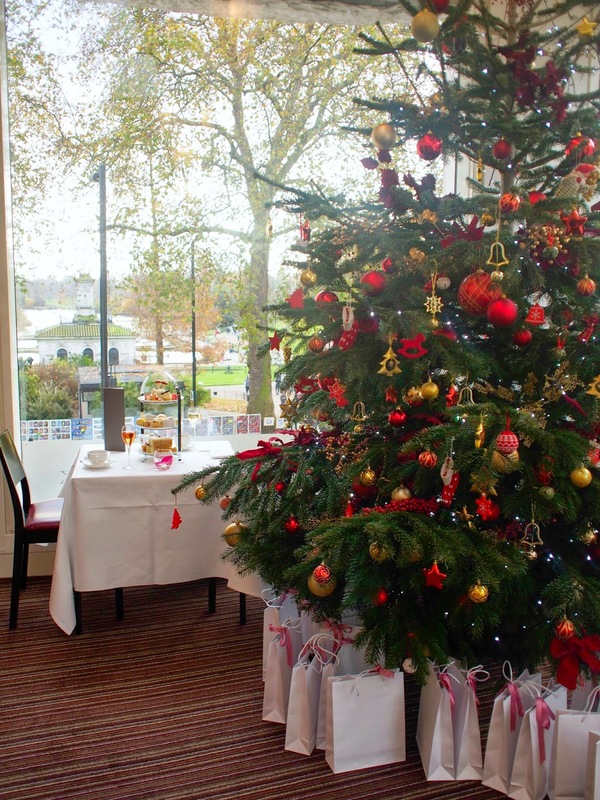 Then the added Christmas atmosphere and you've got one beautiful celebration of a Christmas tea!! 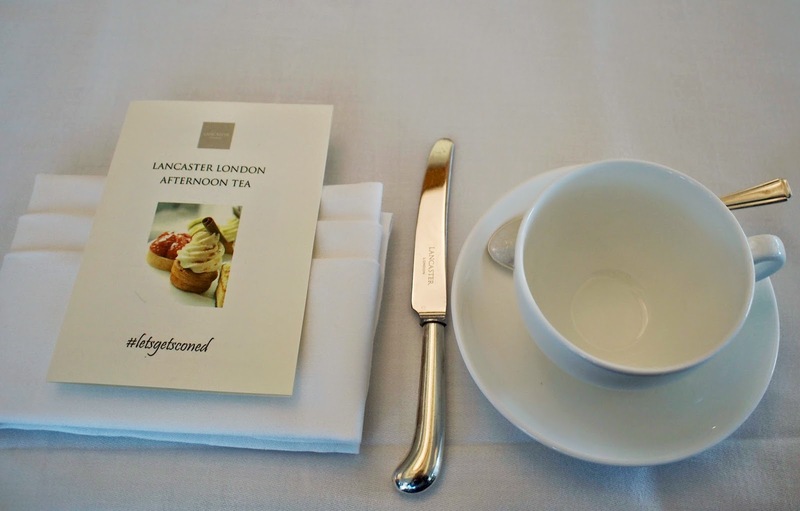 Once again, I made my way to London for another London Bloggers Tea. This time at the Lancaster London overlooking Hyde Park with the amazing Chef Ben Purton. I tell you, Chef Ben did not hold back! He is one hospitable chef! 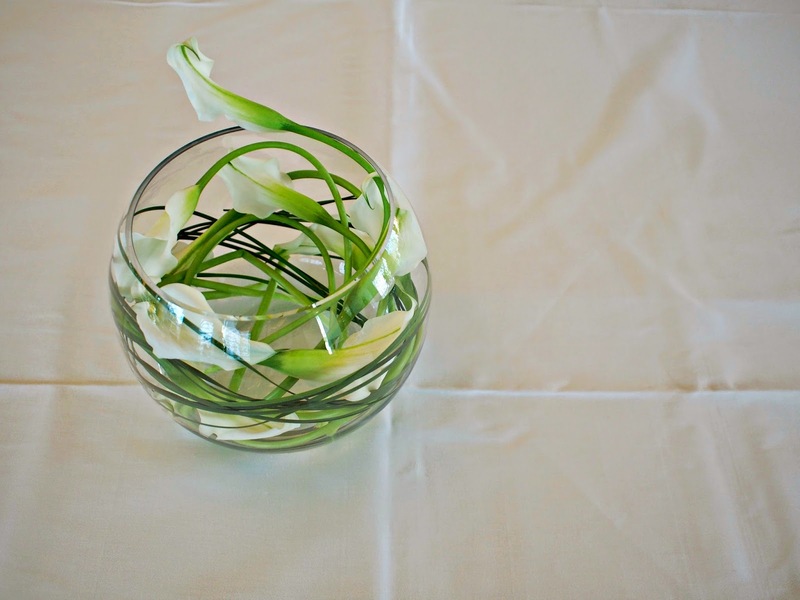 The decor was simple yet so elegant. 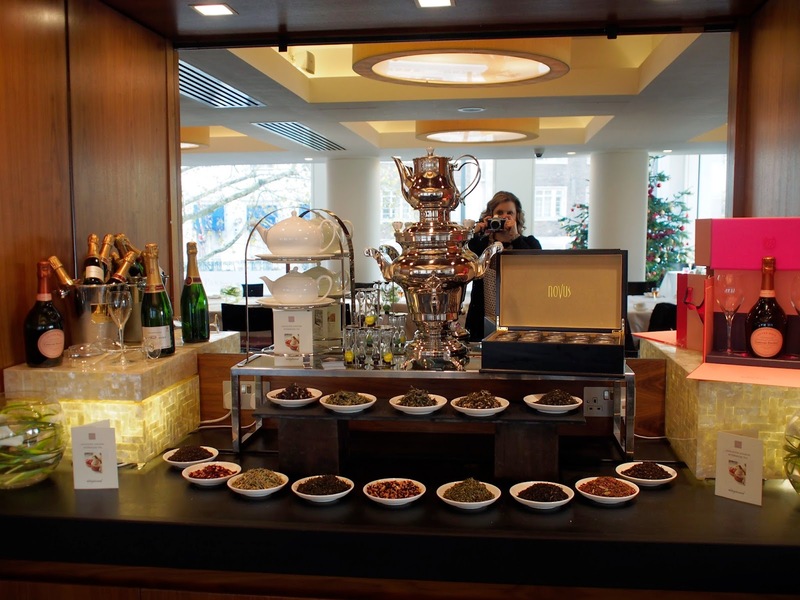 A beautiful display of Novus tea and bubbly. Some yummy goodness right there! Smoked salmon, cucumber, and egg & cress sandwiches along with wild mushroom, chicken tarragon tartletts and beef filled Yorkshire pudding. Plain, raisin and Christmas Pudding scones with Lancaster London's marmalade and homemade strawberry jam. Don't forget the Cornish Clotted Cream!! #letsgetsconed! White chocolate raspberry lollipops, passionfruit & raspberry macaroon, caramel and hazelnut tranche, apple & honey cupcake and lemon fruit tart. I was pretty full by this point. But the white chocolate raspberry lollipops were calling my name! Don't they look pretty?! There was a little surprise on that first bite. Pop rocks!! That bright red ring around the center were pop rocks! Absolutely loved that touch! Such a lovely spot for tea, don't you think? 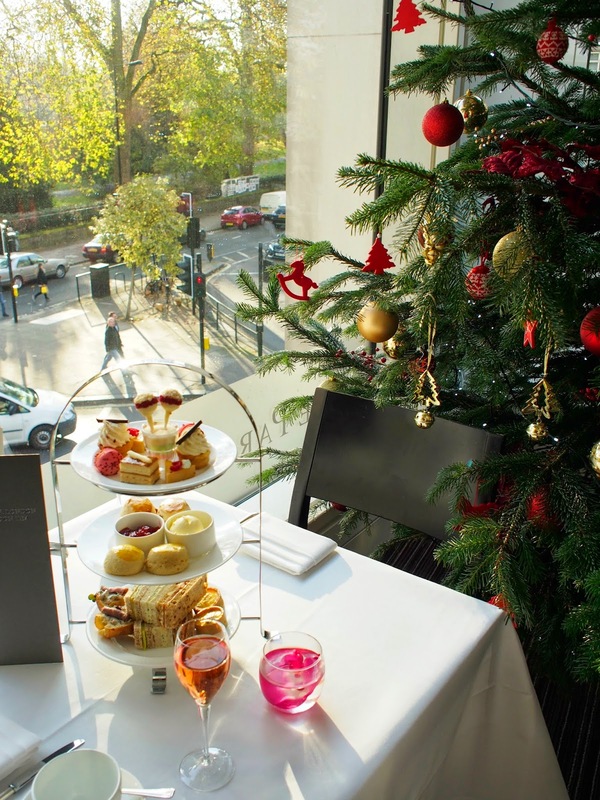 If you find yourself near Hyde Park, check out the Lancaster London. Fabulous afternoon tea, and the rooms look amazing too! 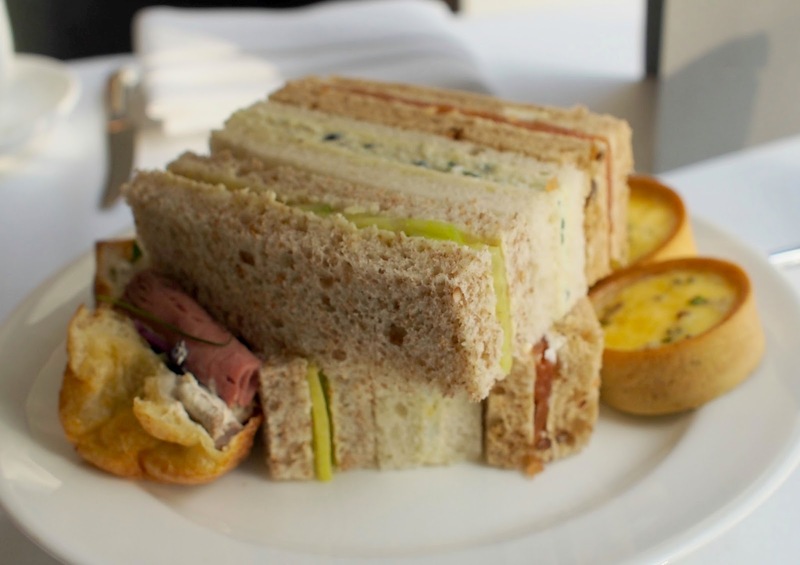 NOBODY does an Afternoon Tea like the English! 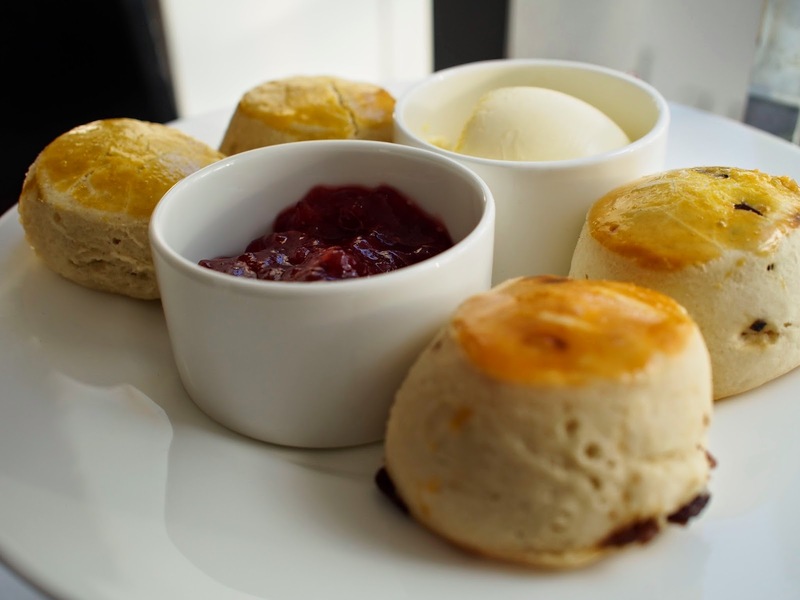 I hated scones until I had the 'real deal' at The Ritz in London. Amazing! This tea looks lovely. Yum! Hope you have an awesome holiday Tina. Oh boy, this is so lovely! The pop rocks look awesome! Ahh, so beautiful! Everything looks so delicious! Have a Merry Christmas and a blessed and happy New Year! It's been fun following along your adventures! Happy New Year, Tina! 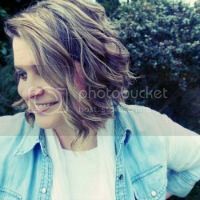 I've really enjoyed reading your blog; so glad to have found it! Hopefully this year I will be able to join you wonderful ladies on a bloggers tea! Happy first weekend of the new year! And have a rockin 2015! This looks wonderful. Love it. It sounds like a great afternoon tea party to me..thanks for sharing. OMG Tina, all looks very delicious. 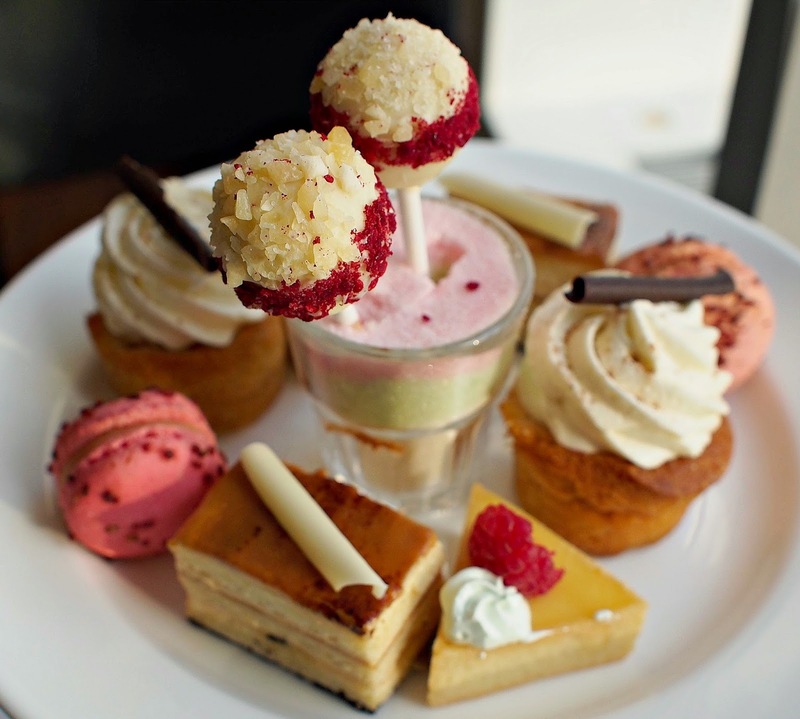 I am drooling :P I think I haven't had a proper afternoon tea ever! Adding it into my bucket list! Wow looks amazing, I wish some kind of proper tea time was a thing here- it always sounds so luxurious! Excited to hear about your homeschooling decision, I think you will love it.